comes on an adjustable 16-18", 14 karat gold filled chain. 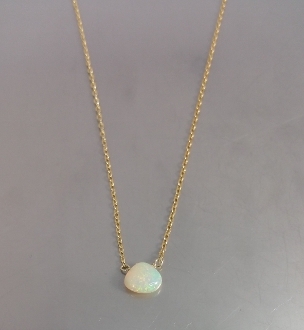 Each opal is approximately 6mm in size. Due to the nature of the stone color will vary.